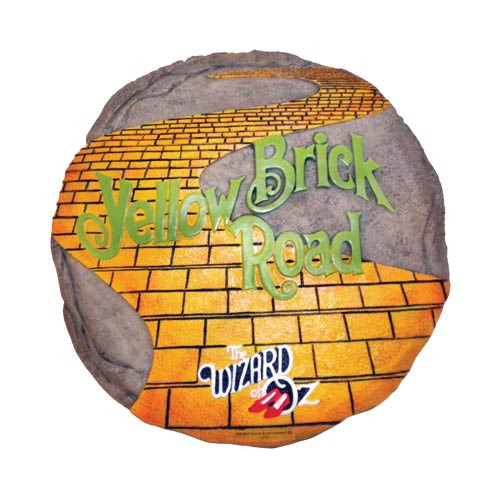 Give your backyard or home a little The Wizard of Oz flair with the Wizard of Oz Yellow Brick Road Decorative Stepping Stone! The stone reads, "Yellow Brick Road," in green over yellow steps that mimic the look of the movie. The decorative piece can even be used as a wall plaque! Measures 9 1/2-inches long x 9 1/2 wide x 1/2-inch thick, and weighs 2 3/4-pounds.